Well everyone, the big news is that I am going to pursue a career as a commercial helicopter pilot. I've always wanted to fly helicopters and if its going to happen, it might as well happen now. 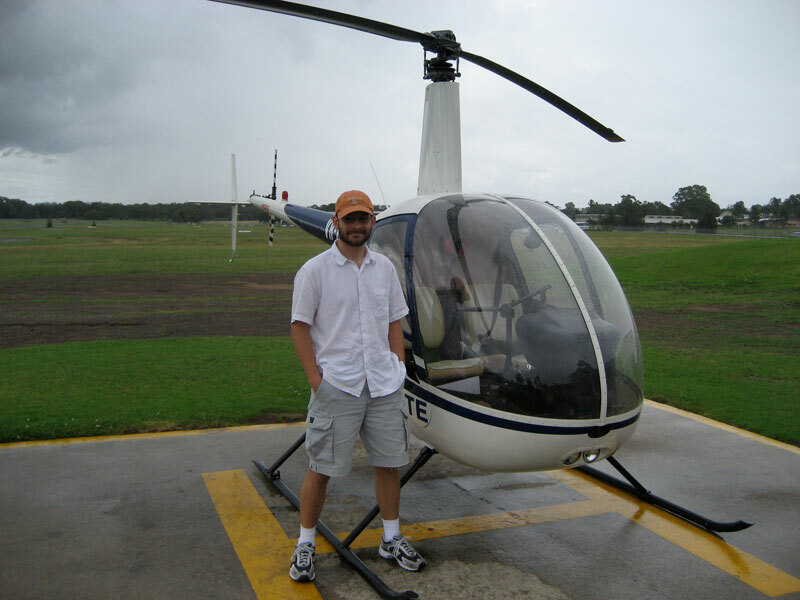 The trick to the decision was that I'd never actually been in a helicopter (pause for laughter). Seriously though, never. The pictures below are me finding a school in Australia in which to get my initial flight time in and really be able to make the decision. I booked two hours in the air with an instructor. Roughly fifteen minutes after the first takeoff I was given the controls! Brett, my instructor, gave me some exercises to do now that I had the controls and apparently I did them pretty well for my first time. He asked if I drove a forklift and I laughed saying I was a web developer. He said forklift drivers are other people who "pick it up quickly." "Computers games, lots of computer games", I replied. I spent a total of 1.5 hours at the controls. 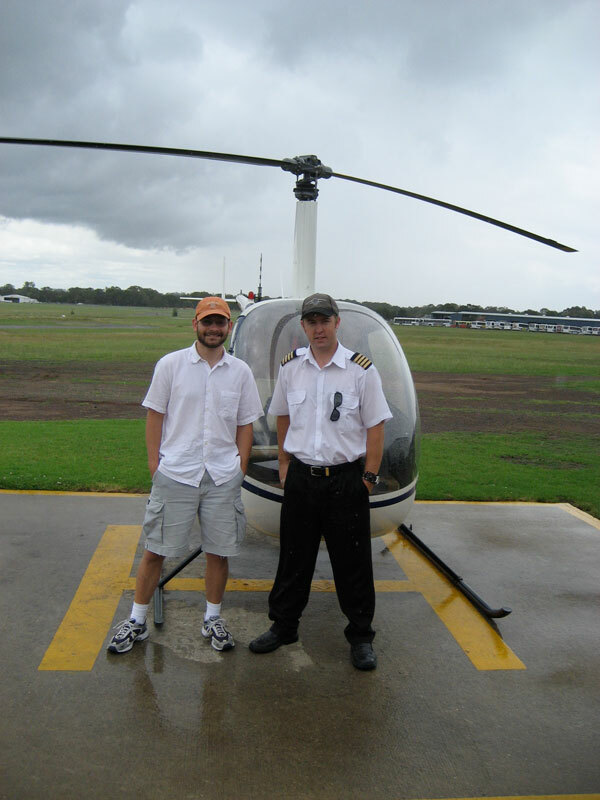 I had previously purchased the FAA Rotorcraft Handbook and had read to chapter 8 of 14. I was extremely busy with flying the aircraft and trying to apply what I had been reading to what I was doing. Needless to say I didn't have much time to evaluate whether I liked being the pilot! The second hour/flight I was a tad more comfortable for like 120 seconds, during which Brett asked me to make a 90° left bank. I whipped the chopper to the left like I had a clue. That moment I felt some enjoyment, promptly after which a nice juicy gust of wind hit us and I went back to "OMFG keep us in the air" mode. I failed to mention the weather was light showers and 3-6 knot gusts... hell of a first flight. I'll take a couple more flights in Dallas and see what happens.